Featuring a Hot tub, Fireplace, TV and Wifi, Chalet 770 offers comfortable holiday rental accommodation in La Plagne on various board options including Catered and Half board. Chalet 770 is a 4 bedroom ski-in ski-out chalet that can comfortably accommodate 11 people. This 7 bedroom ski chalet is located in the French resort of La Plagne. Available on a Catered basis, Chalets La Plagne 978 can sleep upto 15 people. This ski-in ski-out chalet also features a Pool, Sauna, Hot tub, Fireplace, TV and Wifi. Chalet 784 is located in the French ski resort of La Plagne. This ski chalet has 6 bedrooms and can accommodate upto 13 people on a Catered basis. The property also features a Fireplace, TV and Wifi. Offering holiday accommodation in La Plagne on a Self catering basis, Chalets-291 is a 4 bedroom ski-in ski-out apartment that can comfortably accommodate 8 people. The property also features a TV and Wifi. This 7 bedroom ski chalet is located in the French resort of La Plagne. Available on a Catered basis, Chalet 910 can sleep upto 14 people. This ski chalet also features a Fireplace, TV and Wifi. Residences La Plagne 979 is located in the French ski resort of La Plagne. This ski apartment has 3 bedrooms and can accommodate upto 8 people on a Self catering basis. The property also features a Sauna, Fireplace, TV and Wifi. Residence Bellecote is located in the French ski resort of La Plagne. This ski-in ski-out apartment has 1 bedroom and can accommodate upto 5 people on a Self catering basis. The property also features a Pool and TV. Residence Le Mont Soleil is a 2 bedroom ski apartment that can comfortably accommodate 7 people. Located in the French ski resort of La Plagne it is available on a Self catering basis. Residence Prestige Le Pelvoux offers comfortable holiday rental accommodation in La Plagne on a Self catering basis. Residence Prestige Le Pelvoux is a 4 bedroom ski apartment that can comfortably accommodate 12 people. Residence Andromede offers comfortable holiday rental accommodation in La Plagne on a Self catering basis. Residence Andromede is a 2 bedroom ski apartment that can comfortably accommodate 7 people. Located in the French ski resort of La Plagne. Residence Themis has 1 bedroom and can accommodate upto 6 people on a Self catering basis. A 1-bedroom ski apartment which can sleep 4, situated in the ski resort of La Plagne in France. Available for holiday rent on a Self catering basis. Residence Le Sun Valley is located in the French ski resort of La Plagne. This ski apartment has 6 bedrooms and can accommodate upto 14 people on a Self catering basis. The property also features a Hot tub, Fireplace and TV. This 1 bedroom ski apartment is located in the French resort of La Plagne. Available on a Self catering basis, Residence Zenith can sleep upto 5 people. Located in the French ski resort of La Plagne. Residence Le Quartz has 2 bedrooms and can accommodate upto 8 people on a Room only basis. Located in the French ski resort of La Plagne. Residence Les Hameaux has 1 bedroom and can accommodate upto 4 people on a Self catering basis. Offering holiday accommodation in La Plagne on a Self catering basis, Residence Le Cervin is a 2 bedroom ski apartment that can comfortably accommodate 7 people. Located in the French ski resort of La Plagne. Residence Agate has 2 bedrooms and can accommodate upto 7 people on a Self catering basis. Residence Croix Du Sud is a 1 bedroom ski apartment that can comfortably accommodate 4 people. Located in the French ski resort of La Plagne it is available on a Self catering basis. This 1 bedroom ski apartment is located in the French resort of La Plagne. Available on a Self catering basis, Residence Carroley B can sleep upto 5 people. This 2 bedroom ski apartment is located in the French resort of La Plagne. Available on a Self catering basis, Residences Belle Plagne can sleep upto 7 people. A 2-bedroom ski apartment which can sleep 8, situated in the ski resort of La Plagne in France. Available for holiday rent on a Self catering basis. This 2 bedroom ski apartment is located in the French resort of La Plagne. Available on a Self catering basis, Residence Emeraude can sleep upto 7 people. Residence Les Aollets is located in the French ski resort of La Plagne. This ski apartment has 1 bedroom and can accommodate upto 6 people on a Self catering basis. Residence Les Hauts Bois is located in the French ski resort of La Plagne. This ski apartment has 3 bedrooms and can accommodate upto 10 people on a Self catering basis. Chalet Mont Soleil is located in the French ski resort of La Plagne. This ski apartment has 3 bedrooms and can accommodate upto 12 people on a Self catering basis. The property also features a Hot tub, Fireplace and TV. Located in the French ski resort of La Plagne. Residence Onyx has 2 bedrooms and can accommodate upto 8 people on a Self catering basis. Offering holiday accommodation in La Plagne on a Self catering basis, Residence Turquoise is a 1 bedroom ski apartment that can comfortably accommodate 5 people. A 1-bedroom ski apartment which can sleep 6, situated in the ski resort of La Plagne in France. Available for holiday rent on a Self catering basis. Offering holiday accommodation in La Plagne on a Self catering basis, Chalets et Apartments des Alpages is a 2 bedroom ski-in ski-out apartment that can comfortably accommodate 8 people. Residence Zodiac is located in the French ski resort of La Plagne. This ski apartment has 1 bedroom and can accommodate upto 5 people on a Self catering basis. Located in the French ski resort of La Plagne. Residence Les Constellations has 2 bedrooms and can accommodate upto 7 people on a Self catering basis. 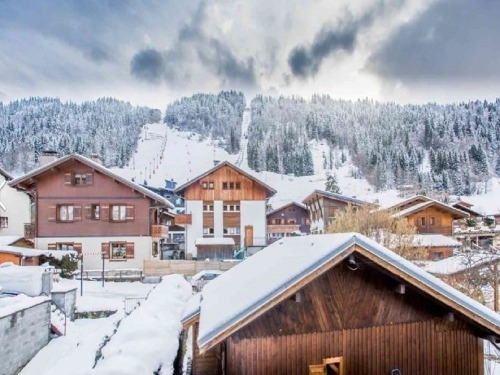 This 2 bedroom ski apartment is located in the French resort of La Plagne. Available on a Self catering basis, Residence Fleche can sleep upto 7 people. Offering holiday accommodation in La Plagne on a Self catering basis, Residence La Licorne is a 1 bedroom ski apartment that can comfortably accommodate 5 people. Residence Amethyste is located in the French ski resort of La Plagne. This ski apartment has 1 bedroom and can accommodate upto 6 people on a Self catering basis. This 2 bedroom ski apartment is located in the French resort of La Plagne. Available on a Self catering basis, Residence Licorne can sleep upto 7 people. Located in the French ski resort of La Plagne. Residence 3000 has 1 bedroom and can accommodate upto 4 people on a Self catering basis. Offering holiday accommodation in La Plagne on a Self catering basis, Residence Plagne Lauze is a 2 bedroom ski apartment that can comfortably accommodate 8 people. The property also features a Pool, Sauna and TV. Offering holiday accommodation in La Plagne on a Self catering basis, Residence Etoile is a 1 bedroom ski apartment that can comfortably accommodate 6 people. 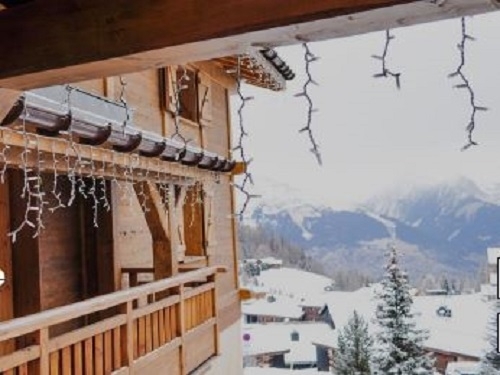 Offering holiday accommodation in La Plagne on a Self catering basis, Residence Les Nereides is a 2 bedroom ski apartment that can comfortably accommodate 8 people. Residence Les Gentianes is a 2 bedroom ski apartment that can comfortably accommodate 7 people. Located in the French ski resort of La Plagne it is available on a Self catering basis. Residence Les Gemeaux is located in the French ski resort of La Plagne. This ski apartment has 2 bedrooms and can accommodate upto 7 people on a Self catering basis. This 1 bedroom ski apartment is located in the French resort of La Plagne. Available on a Self catering basis, Residence Prestige Front de Neige can sleep upto 6 people. This ski apartment also features a Pool, Hot tub and TV. Residence Callisto is located in the French ski resort of La Plagne. This ski apartment has 2 bedrooms and can accommodate upto 7 people on a Self catering basis. Residence Carroley A offers comfortable holiday rental accommodation in La Plagne on a Self catering basis. Residence Carroley A is a 2 bedroom ski apartment that can comfortably accommodate 9 people. A 1-bedroom ski apartment which can sleep 5, situated in the ski resort of La Plagne in France. Available for holiday rent on a Self catering basis. Residence Les Chalets des Arolles offers comfortable holiday rental accommodation in La Plagne on a Self catering basis. Residence Les Chalets des Arolles is a 1 bedroom ski apartment that can comfortably accommodate 5 people. Residence Le France is a 1 bedroom ski apartment that can comfortably accommodate 6 people. Located in the French ski resort of La Plagne it is available on a Self catering basis.